On Wednesday we did a cover reveal for Hannah’s latest book – today we find out more about her and her writing in a special interview! What is your favorite way to spend a rainy day? Curled up under a blanket reading a really good book, oh and drinking some nice strong coffee. How do you react to a bad review? I try to look at ways I can improve my writing based on what the review has said. I’m not really one to let bad reviews get to me, because everyone is entitled to an opinion. Which authors have influence you most, and how? John Green has definitely influenced me, watching his videos and reading his books does have an influence on me, because I just love the way he creates characters, and how in depth he makes them. Also I really love his style of writing. Night owl or early bird? Most definitely a night owl, I’m usually always up until at least 1am. What inspired you to want to become a writer? Just reading a lot I guess. I’d always loved writing, as a kid I used to love writing short stories, and even though when I was younger I hated reading, by the time I got to about thirteen or fourteen I was in love with reading, and it was really then that I started putting more effort into my stories, and actually finishing some. After that it was NaNoWriMo, I got involved with that and once I had these completed manuscripts, I just thought why not publish them and see what other people think. What was your favorite book when you were younger? I really loved and still do love ‘I Capture the Castle’ by Dodie Smith. What’s one piece of advice you would give aspiring authors? Editing is your friend, don’t be afraid to delete big chunks, rewrite entire chapters, change your mind about endings or major plot points. It’s your novel, ultimately it has to be something you’re happy with so make sure you keep working on it until you are happy. Oh and of course, read. When you were little, what did you want to be when you “grew up”? I wanted to be a baker, and then a nursery nurse, and then a nurse, and then I settled on writer. Who are your favorite authors of all time? John Green, Jane Austen, Charlotte Bronte, Lyn Andrews, Amy Kathleen Ryan. What’s the craziest writing idea you’ve had? I once had an idea to write a book set in a boarding school which was in the modern world, but all the students thought they were in the 1900’s. I gave up on that idea pretty quickly. What movie and/or book are you looking forward to this year? I am really looking forward to ‘Flame’ by Amy Kathleen Ryan, it’s the third in the Sky Chasers series and I really cannot wait. I have my pre-order in already. Text or Talk? I’d have to go with Text. 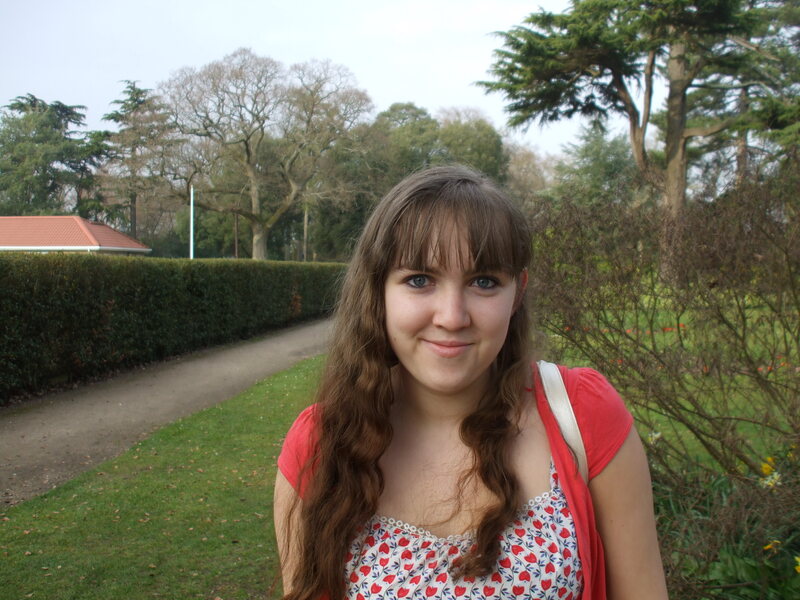 About the Author: Hannah has had a keen interest in writing for a long time, starting out writing short stories when she was young. As she got older she started taking her writing more seriously, and writing longer pieces, but it wasn’t until taking part in and completing NaNoWriMo, that she decided to pursue her writing. Her first novel ‘How I Got Here’ was released in the summer of 2012. This entry was posted in Author Interviews, Interviews and tagged hannah harvey, interview, YA novel. Bookmark the permalink. >>I once had an idea to write a book set in a boarding school which was in the modern world, but all the students thought they were in the 1900’s. I gave up on that idea pretty quickly. That’s a book I’d read! I know – I thought that sounded cool too!